The recent desecration of a significant wartime site along the Kokoda Trail by the Australian Government is a blatant act of historical vandalism. The site I refer to is an abandoned mortar position adjacent to Lake Myola about halfway across the trail. I found the position approximately 10 years ago whilst I was investigating this particular area with a local landowner. It was off the side of a remote track that was used by local hunters. It was part of an ammunition storage system that supported the mortar baseplates out on the lakebed of what is called Little Myola. The mortars would have been positioned to support the Australian hospital and logistic support bases on Big Myola. It was not until a public outcry over the threat to mine a large part of the trail in 2006 that the Australian Government finally took more than a token interest in the area. 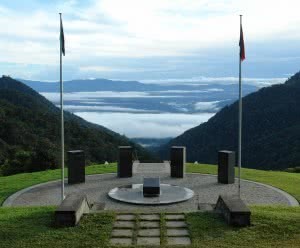 Unfortunately, the Howard Government miscalculated and allocated responsibility for the preservation of the Kokoda Trail to the Department of Environment, Water, Heritage and the Arts, most probably because the Heritage Division was responsible for the List of Overseas Places of Historic Significance to Australia. The status of Heritage’ has since been dropped from what is now the Department of Sustainability, Environment, Water, Population and Communities. Arts has recently been added to the Minister’s responsibilities but does not yet rate a mention in its acronym. Since 2008 Kokoda has been used as a subterfuge for the department to pursue an environmental agenda in PNG. Its guise was to embed staff in the PNG Department of Environment and Conservation to assist PNG to develop a submission for a World Heritage listing of the Owen Stanley Ranges including the Kokoda Trail. A joint agreement with an emphasis on global warming was signed with considerable fanfare. Terms relating to military heritage did not rate a mention. One can only speculate how ‘joint’ the agreement was in the framing process. Highly paid Canberra envirocrats with tax exempt salaries and generous allowances were dispatched to advise and assist the PNG Government to save the Kokoda Trail. For most of those involved, it was their first trip to PNG and the trail quickly became a lucrative honey-pot for a coterie of anointed consultants. They came; saw; held talk-fests; produced five-point plans; and left with a wallet full of booty. Experienced Kokoda pioneers were excluded from what can only be described as a ‘closed shop tender process’ that clearly favoured ‘friends’ of the envirocrats. The results speak for themselves. When the envirocrats arrived in 2008, 5,621 Australians had trekked Kokoda. After three years of ‘assistance’ resulting in a ten-fold increase in staff; a conga line of consultants; and more than $20 million of taxpayers’ money; the numbers have decreased by almost half to 2,914. 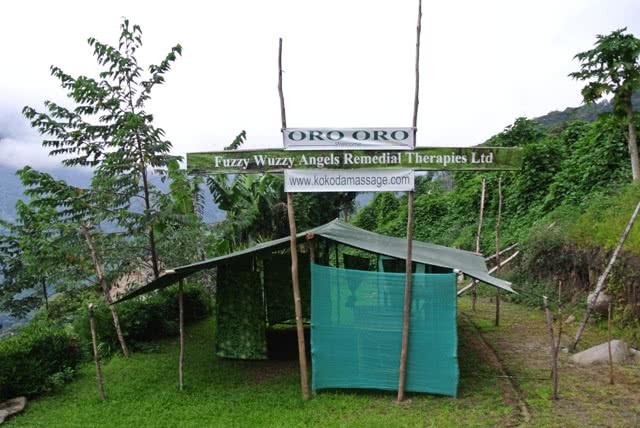 Projects initiated without any reference to PNG authorities or the trekking industry included the construction of massage parlours; a failed $3 million Village Livelihood Project; and a dysfunctional management structure. 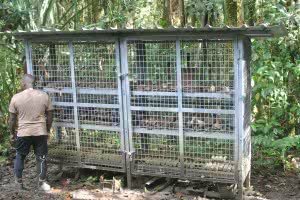 Australian managers and staff engaged during the period 2008 to 2012 have left the PNG Kokoda Track Authority without any management protocols. There is no master plan to protect and develop sites of military historical significance; no legislation to support their authority; no campsite booking system; no credible trek operator licensing system; and not a single sustainable outcome from their ill-conceived Village Livelihood Project. The only winners thus far are those who received generous tax-exempt salaries and even more generous overseas living allowances; the consultants they engaged to solve problems they don’t understand; and a bevy of aid-funded non-government organisations who continue to reinforce local beliefs in cargo cults. 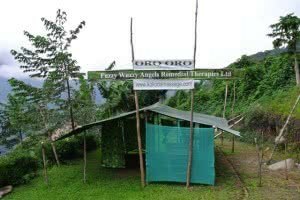 An AAP report in May 2009 revealed that a single consultant receives $10,517 a month in tax-free allowances under AusAID’s Advisory Support Facility in PNG. If the consultant brings their partner along they get $14,239 a month for accommodation, hardship, medical or utility fees. Consultants on short stays under 180 days receive $469 per day for the first 28 days then $400 a day for the rest. If they work 180 days that earns them up to $74,000 in allowances. An agreement between the Australian and PNG governments gives aid advisers tax-free salaries, putting a married senior consultant in PNG on approximately $30,000 a month, netting them $360,000 a year. Junior single consultants gross approximately $20,000 a month, adding up to $240,000 a year in salary and allowances. What the AAP report did not reveal was that these consultants are a law unto their own. They are not accountable to the people they are supposed to serve and are adept at fending off criticism until the expiry of their term. As a result the wartime integrity of the Kokoda Trail is now facing the same level of threat as that posed by the establishment of a goldmine in 2006. The historical integrity of the mortar position at Lake Myola has been destroyed forever by the senseless decision to build a steel-wire cage and lock all of the ammunition within it. Trekkers have no need to visit the site and the local custodians are now denied the opportunity to earn a respectable income from it. 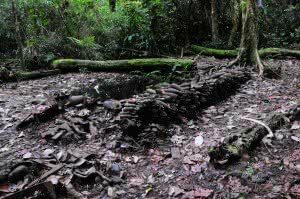 I have always argued that the Kokoda Trail should be developed as a model for a wartime tourism industry in PNG because the local people are the custodians of battle sites sacred to our military heritage. Unfortunately, Australia’s attempt to assist PNG in this regard since 2008 has been an unmitigated failure. I am happy to debate this statement with anybody at anytime in any forum. I believe that responsibility for the protection and development of the wartime heritage of the Kokoda Trail should be transferred to the Department of Veterans’ Affairs at the earliest opportunity. 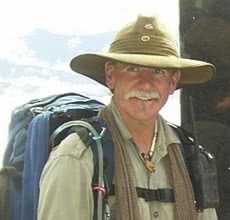 We need to start again with a management plan that acknowledges Kokoda as a wartime pilgrimage for most Australians and not an environmental levitation for eco-trekkers or a bottomless pit of booty for aid-funded consultants and non-government organisations. The Kokoda Trail is now enjoying a cycle of wealth it has never experienced before and villages along the way are capable of enjoying a sustainable future as a result of the Kokoda trekking industry that has emerged over the past decade. All it needs is a master plan based on the wartime heritage of the Kokoda campaign and an effective corporate management authority. AusAID funding and NGO activity should now be moved further north to ensure the wartime integrity of other significant battlesites at Goiari, Oivi, Awala, the Kumusi, Buna, Gona and Sananada is properly protected and honoured with an appropriate memorial plan. 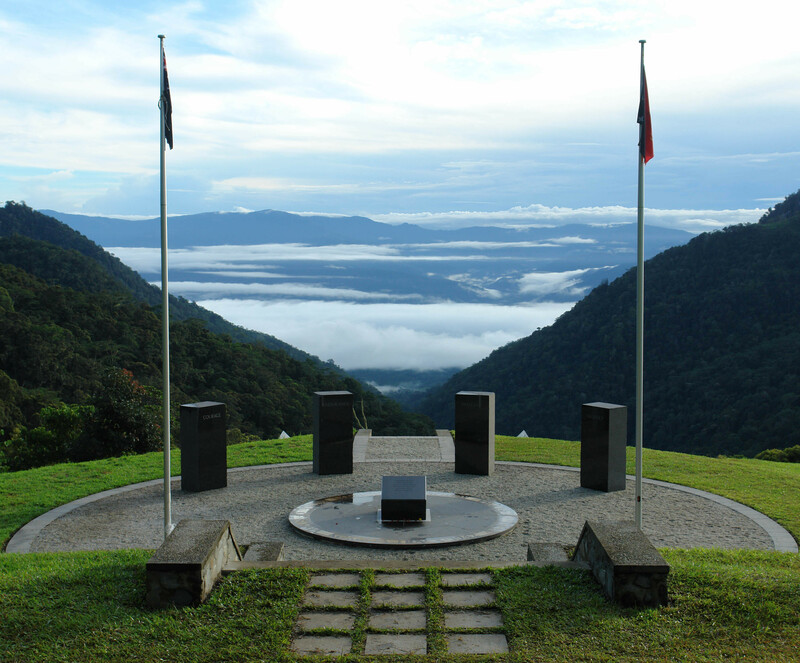 Almost three times as many Australian soldiers lost their lives on these battlefields as Kokoda. It is now time for their sacrifice to be properly honoured by the country that owes them so much. After 12 crossings of the Kokoda Trail (11 leading Australian trekking Groups) I feel I can say with some authority that the “Myola ammo dump” was one of the many highlights of the treks for most -if not all trekkers. The rotting boots and other personal use items, mentioned by Charlie above, were telltale proof and an emotional and poignant reminder of those “that gave their todays for our tomorrows” and who fought and died on the trail. As an ex officer in the Australian Army with some experience with explosive ordnance disposal (EOD) I did not assess the old ammunition (Mortar, grenades etc) as dangerous if left as it was and had been for over half a century lying neatly stacked as it had been left by the “bloody heroes” for whom it was so important. 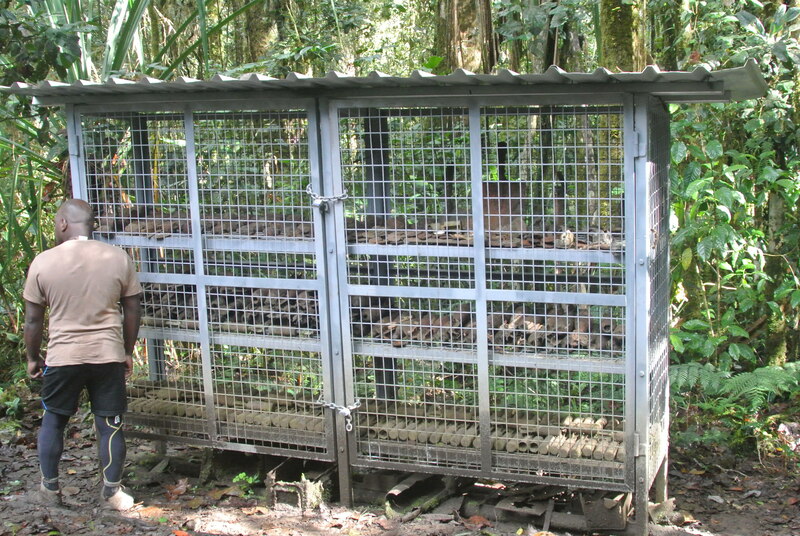 I first saw the metal cage into which it has been relocated in a photo on a web site.I thought it was a joke. I cannot believe that such an inappropriate container has been located in a tropical jungle at such a historic site. That it (the ammo stackes) and associated items were relocated is sacrilege. Furthermore it is a gross insult to the Koiari who managed to generate a few Kina from those Trekkers who visited the site. The Australian government department mentioned by Charlie, whatever it calls itself, should seek more appropriate and informed advice before interfering in the sovereign rights of the nation of Papua New Guinea and despoiling an experience for all Australians who visit the Kokoda Trail. These ridiculas do gooders that believe interfering in special places such as this weapon pit will only spoil it for the rest of us all. People like Charlie Lynn and other wonderful people go out of thier own way to help discover these monumental sights only to have them ripped apart by others trying to make a name for themselves. If this type of thing is allowed to continue I believe these sights will be lost forever, as those that find them will keep it a secret for themselves. Our children and there children will never be able to pass on these amazing places. I visited this location in April 2013 and am worried by the time I bring back my son in 6 years time this cage will be a rusted out mess collapsed on the ground with Grenades and mortars all over the place. Please return it to the way it was once left! I’m sure if you asked Charlie he would have photos of this area and it could be reconstruced as it ought to be.